Have you heard about the GBWhatsApp, if yes then you might get a question in your mind that, what is GBwhatsapp? 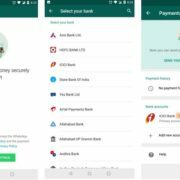 So, it is a moded Android APK file of official WhatsApp and here in this tutorial, we let you know how to use it. Before diving into it lets know who needs the GBWhatsApp. If you are using the WhatsApp too much and you show online, and want to hide that then the GBWhatsApp is the best option. Becuase showing all day online may cause some problem to your parents or relatives or officials. The other things which it offers are: you can hide your blue tick, second tick, online status, Writing status, and more from other Whatsapp users but you can see others without letting them see yours. Step 1: As the GBWhatsapp is a modded APK file for Android platform and that why it is not available in the Google Play store. So, the question is now, Where to download the GbWhatsapp. You might find so many websites to download the GBWhatsApp when you search it on Google. But the official website to download the GBWhatsApp is official-plus.com or gbmods.co. Visit and download the APK file. Step 2: After downloading the APK file transfer it to your smartphone; Go to file manager tap on the GBWhatsApp APK file and it will prompt to Install. If the Unknown source is disabled in your smartphone it will ask to enable it. Generally, it locates under Setting -> Security. Check the option “Unknown sources” and tap OK on the prompt message. Step 1: Finally you will see Dual WhatsApp on your Android smartphone. Step 2: Before open, run and setup GBWhatsApp we will copy or backup our original WhatsApp, data, media files and Chats to GBWhatsApp. For doing this go to file manager and find out WhatsApp folder. Open the WhatsApp folder and tap + hold to copy the Databases folder. Step 4: Finally we have copied all data, chats and media files of our main WhatsApp to the GBWhatsAPP, now its time to install it. 1. Open GBWhatsApp and tap on Agree and Continue. You will also see an option RESTORE but that will not work right now and shows can’t find any backup /SDcard/ GBwhatsApp because it is the first time we are installing the GBWhatsApp. 2. Enter your phone number which you uses in your original WhatsApp. Now tap on option COPY WHATSAPP DATA this option will copy all media files from the original WhatsApp folder to the GBWhatsapp. 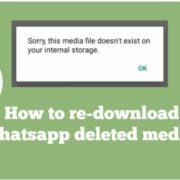 Note: If Copying media files don’t work you can also directly copied the Media folder form the Original WhatsApp folder to the GB Whatsapp. 3. Tap on the Next and continue. Step 5: This moded app is based on the original WhatsApp that’s why all the rest steps are the same as the original one. 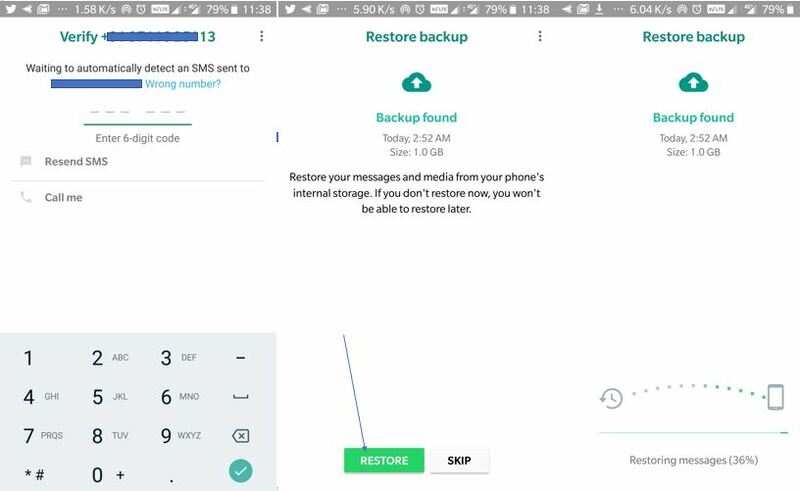 To restore the backup in GBWhatsapp click on the restore when it shows. For more info please see the screenshots. The GB WhatsApp which is based on the WhatsApp (original) is installed, now its time to play around with it. Step 1: To remove or disable the WhatsApp Blue Tick read receipts, we need to open the GBWhatsapp. If you want to Hide the Blue ticks for contacts then select the contact and for WhatsApp groups select the group. In this way, you can disable your delivery report on the WhatsApp for your friends. Note: People can’t see your blue ticks read receipts but you can see everyone’s blue tick. Go to Privacy->Hide Online Status and Whatsapp restart automatically to apply this mod feature. Select the Last Seen option and make it visible for everyone. Now go to the GbWhatsapp privacy section and tab on the option Hide Online Status. As soon as you tap on the Hide Online status all your contact will see the freeze last seen. The time visible in the last less will be the time when you have selected to Hide Online status option. The double tick on Whatsapp show that your message has been delivered but for some personal reason if you want to show single tick but still online then again go to Privacy Settings->Second Tick and you successfully disable the double grey click on the WhatsApp. To Hide the Writing status in GBWhatsApp go to Privacy and tap on Writing Status, and it will disable the —typing… symbol while typing text to someone. The moded app also offers a way to customize your WhatsApp interface theme. To download theme on GBWhatsapp go to GB settings ->Download themes and choose the theme which you want to use and after that just tap on the APPLY option to implement on your WhatsApp. You can also use the custom theme on the GB Whatsapp from the option MORE just given below the Download themes option, for more info see the screenshot given below. The sample of themes available on GBWhatsapp. To update the GBWhatsApp to latest version you need to go GB settings-> Updates-> Check for Updates. If this option does not work then you can use the Web Download which opens the GB Whatsapp official website to download and update it to the latest version. Yes, GBWhatsapp and Whatsapp+ Plus are two modded app for Android smartphone based on original WhatsApp and both can use without any fear of account ban. Basically, stylesheet information in Android APK is not encrypted while the codes are encrypted. So, this moded app is using non-encrypted code to perform some customization on the interface and built-in feature of the WhatsApp. 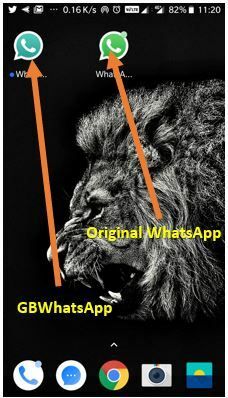 But your message sending and receiving still uses the original WhatsApp server, that is why the GBWhatsApp is fully secure. But you should download it only from its official website. If you have any questions or doubt regarding this moded Whatsapp APK file then please let us know, the comment box is all yours. 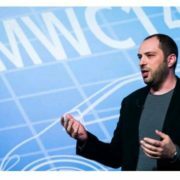 Does it overwrite whatsapp folder? Because i don’t want this app to use whatsapp folder. Is it possible? I don’t want this to disturb my current whatsapp. So does it create its own folder or use the original whatsapp folder????? I have the same problem…could something be done to fix it? At a given time you can use only one number with one WhatsApp. 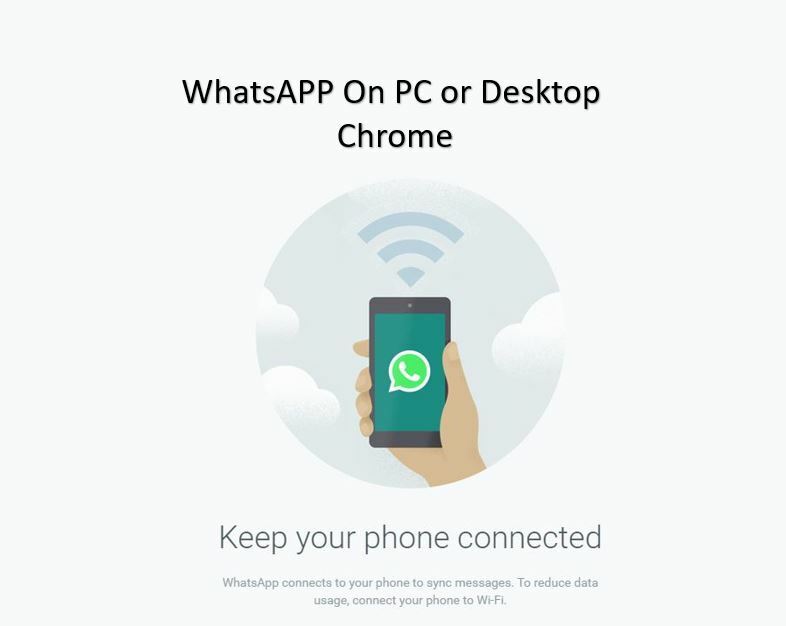 As GBwhatsapp is using the same server as your original WhatsApp does, so either you can use one number with Whatsapp or GBwhatsapp. If you want to use both at the same time then you need to activate both with different phone numbers. For example one number for WhatsApp and one for Gbwhatsapp. Hi Raj, I’m not able to receive messages on GB when I switch on the “Do not show double tick” option. Messages drop in only if I revert the option. Is there any way to fix this? Please help. Please disable all other privacy options in the GBwhatsapp and only enable the double tick one. There is some bug in the app, when all the privacy options are enabled, sometimes; it not able to send or receive the messages… Also, make sure that you are using the up to date version of the GBwhatsapp or OG whatsapp. Hello. I don’t want to see other people’s blue ticks in my chat when I activate the “hide blue ticks” option. Anything I can do? How do I see other’s last seen status after I have freeze my last seen status on GB WhatsApp? CommHey how do I freeze my last seen in my GB WhatsApp and not seeing blue tick when I send text and receive plz help. For Read reciept, please check your WhatsApp settings->account->privacy scroll down and check the box given at the front of Read receipts option. I have hidden my online status but now I’m not able to see others last seen and online status. I want to see others last seen and online status without showing them mine. Hey quick question, I have the latest version of gb, but I don’t see an option to turn off my online status, the whole privacy thing that use to be where the three dots are is not there anymore what do I do?? Can I remove statua tab get back contacts tab? I am not able to see the hide online status option in version 7.55? It only says to freeze last seen. Any help? When i hide my online status then i also wont see other online status, please fix this. How can I remove status tab and get back contacts tab? On GBwhatsapp, tap on the three dots given on the top right side of the app. An options menu will pop-up select the Privacy option and under which you find another option called Second Tick. When you select the Second Tick, it will further show two options one is Hide for contacts and another will be Hide for the group. Choose the first one to hide the second tick from the contacts and a second one for groups. Hope! this solves your problem. I have 7.65 so where are the settings? I see only GB settings which has things specific to GBWhatsApp but not the features on regular WhatsApp. Where do I find “Account”? Where do I find “Last Seen”? The options you show on the screen shots are not findable on GBWhatsApp 7.65 which I downloaded yesterday, so what is going on? Any way to show online status just for the person you are chatting with? If you have to turn it on when chatting with someone (it will seem strange to them if you are never showing as Online), that kind of defeats the purpose of having it. how do i put the contacts bar in the place of the satus bar? Your guidance is simply brilliant. Thanks very much. Much appreciated. Just like many of the questions/complaints above, when my online status is hidden I am unable to view the online status of others. I have tried all the methods you have advised in the comments above, but still no luck. Re-installed, and even tried with OG and Whats App Plus but still same. I download the latest version v.6.88 from official-plus.com. Yes, Michael… Now in GBwhatsApp this problem facing by everyone. It is the bug of the app and developers need to amend that. Like others, even I am facing this issue . If I freeze my last seen, I cannot see other’s last seen and even the online status of theirs. Also sometimes the messages are delayed.. I receive the messages the other day! Yes, it happens… Basically, it is a glitch of GBwhatsapp. Hello. Please I’d like to know how to deactivate myself from seeing the number of people that have viewed my status.. I could do it on the regular whatsapp, but here it pops up and the notification shows.. I want to be unable to see them. Hi, how do i change the color of the ticks on unread messages? You cannot change the colour of unread messages. But yes the style is possible. Tap on the three dots given on the right top side and select option GB Settings. Scroll down and select option Other Mods and then Ticks style. Here you will get a couple of styles select the one you like. 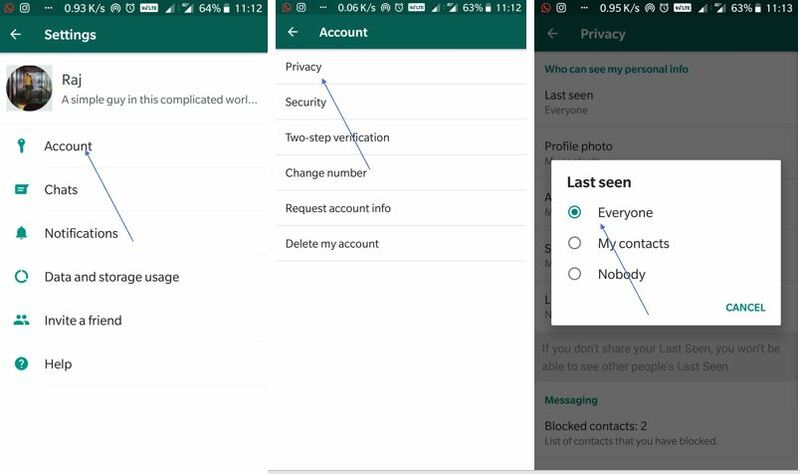 Open your WhatsApp, Tap on the three given on the right top side and then tap on Privacy option. Tap on Show Online Status. Now go back and again tap on the same three dots but this time select the Settings option given in the last. Tap on Accounts->Privacy-> Last Seen-> Select Everyone. I don’t want to see chat notifications for hidden chats.